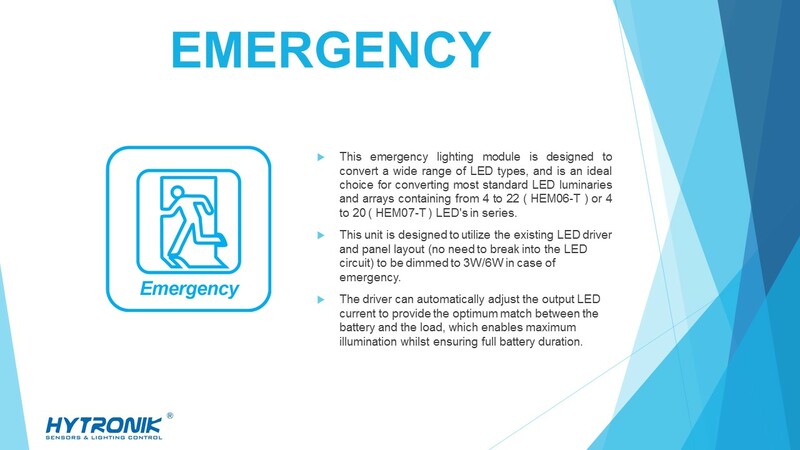 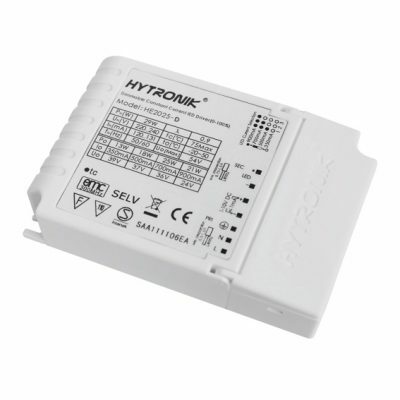 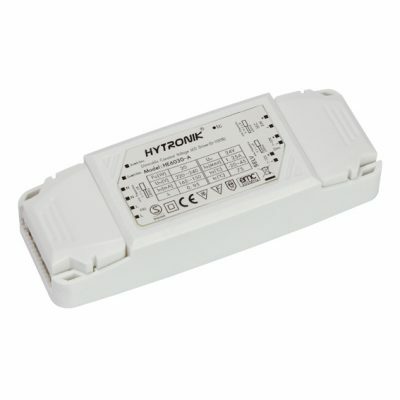 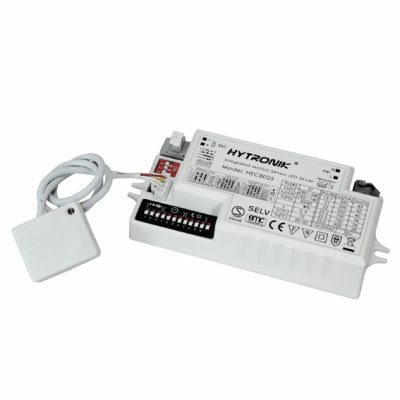 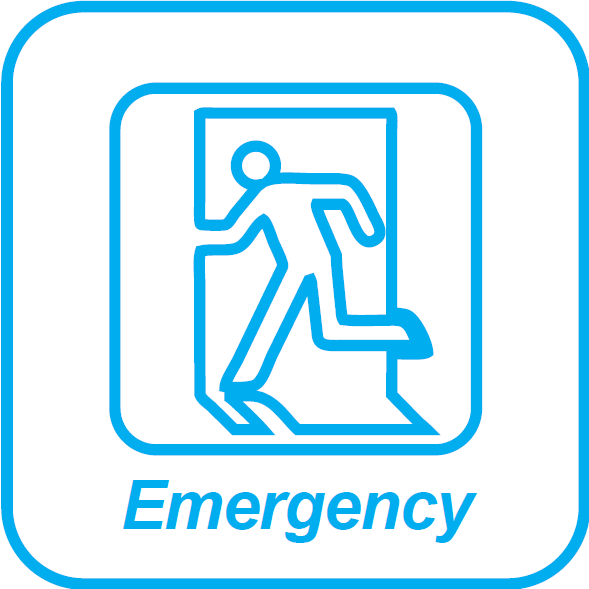 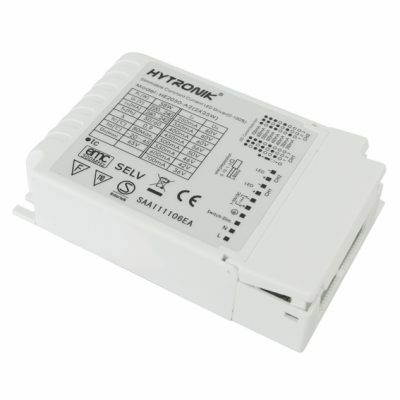 This emergency lighting module is designed to convert a wide range of LED types, and is an ideal choice for converting most standard LED luminaries and arrays containing from 4 to 20 ( HEM07-T ) LED’s in series. 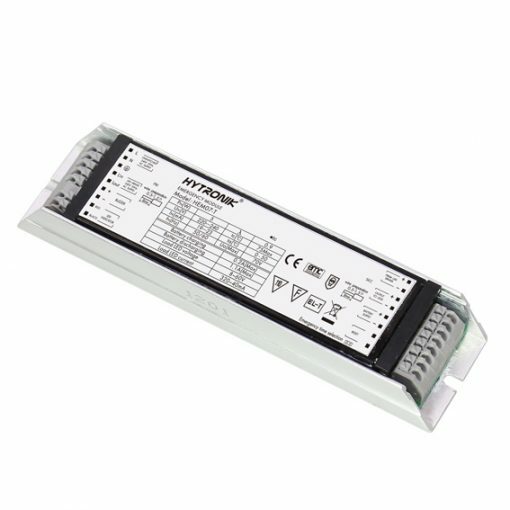 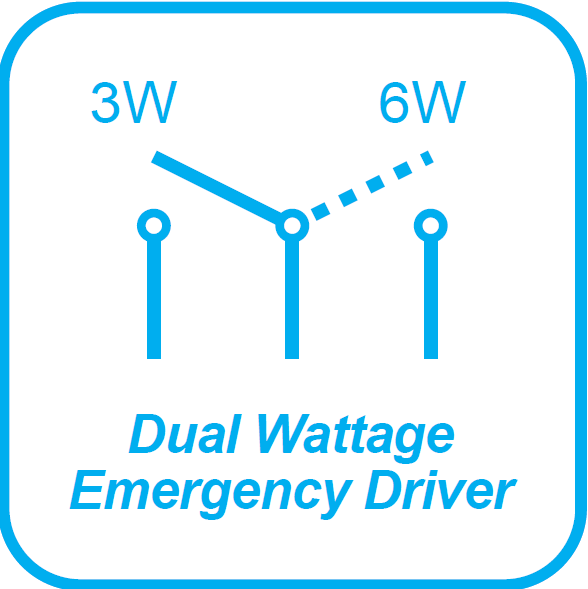 This unit is designed to utilize the existing LED driver and panel layout (no need to break into the LED circuit) to be dimmed to 3W/6W in case of emergency. 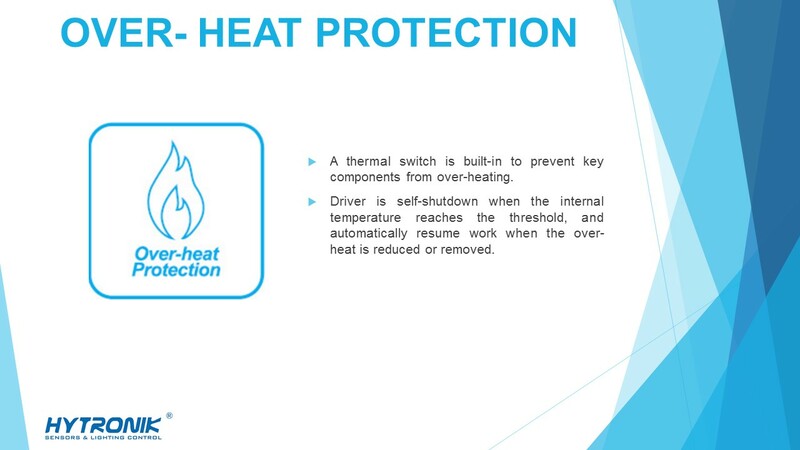 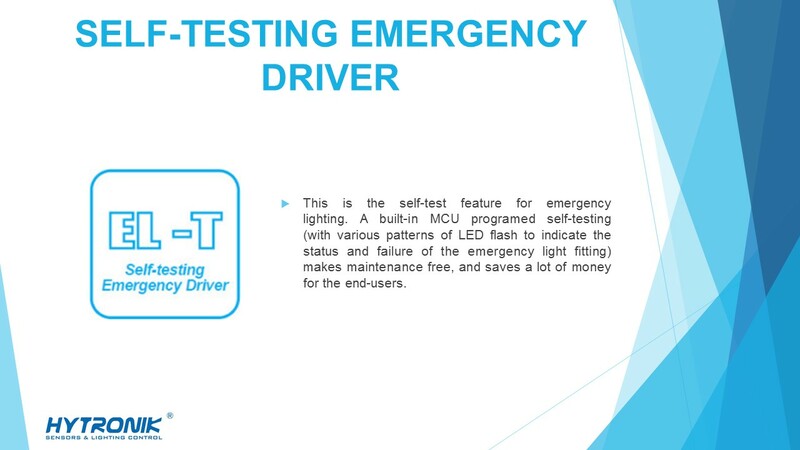 The driver can automatically adjust the output LED current to provide the optimum match between the battery and the load, which enables maximum illumination whilst ensuring full battery duration. 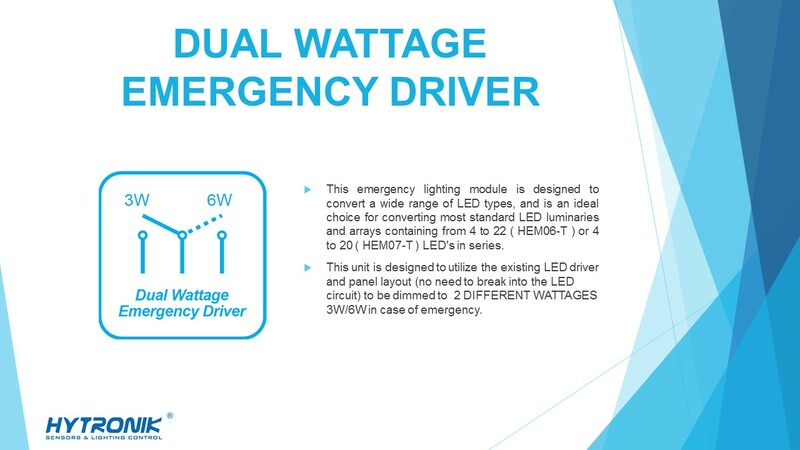 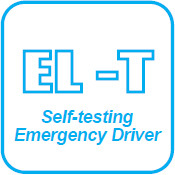 The driver is compatible with a wide range of LED’s such as Philips Fortimo DLM, SLM and LLM ranges, Bridge lux LS/ES/RS ranges, Citizen 4~41 W ranges, GE Infusion, Xicato and many others.